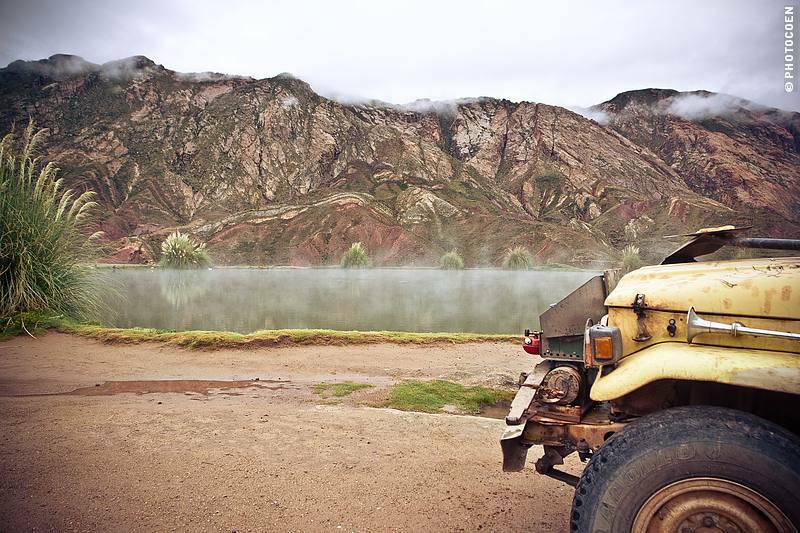 In Bolivia we enjoyed quite a bit of overland camping. It’s a country with lots of space and few people so finding a spot to rough camp generally was easy. In, or near, towns or cities we asked for a place to camp in a parking lot of a hotel or restaurant, which generally worked out okay. In some cases we paid a small fee to use their bathroom/shower. 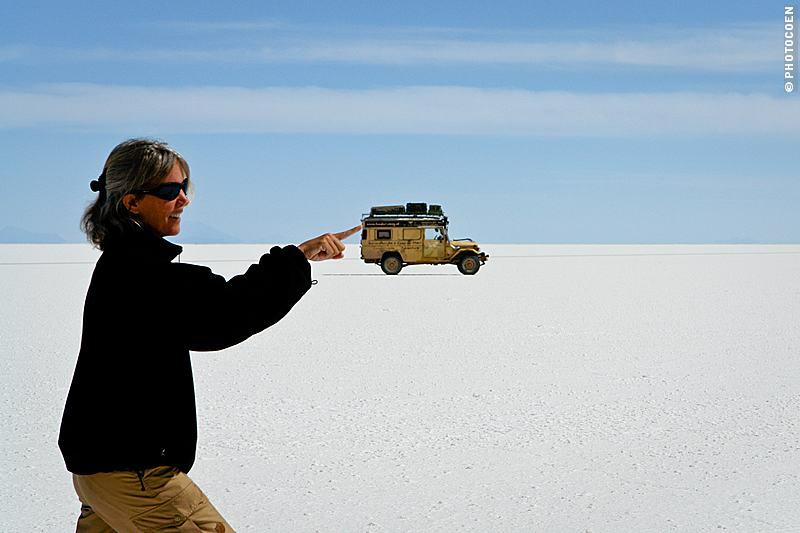 Overland camping is at its grandest at Salar de Uyuni, the world’s largest salt flat, and in Sud Lipez, the rough region on altitude south of Salar de Uyuni towards Chile (San Pedro de Atacama). Since we have family and friends in Bolivia we stayed with them too. We didn’t use the Hospitality Club or Couchsurfing. In La Paz we joined the masses of overlanders at Hotel Oberland (book here). It’s pricey for the place they offer but it’s safe + it’s fun to be around other overlanders every once in a while and catch up on stories and itineraries. Let there be no misunderstanding: no, you don’t have to go to these places. No, these are not by definition the best spots. 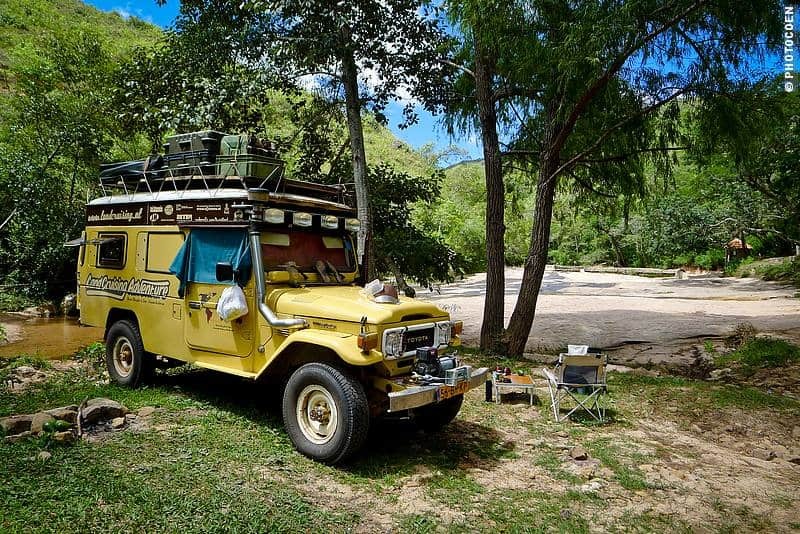 After having traveled in South America for so long we realize that it’s no problem here to find your own beautiful spots for camping. We decided to continue the page anyway, for travelers who would like some tips about camping spots which we enjoyed or found practical. Please note that this is always our personal experience. You can also check out iOverlander, where you can see where other overlanders spent the night. And if you prefer staying at a paid accommodation, find one here. East of Entre Rios. Beautiful, quiet rough camp on top of a hill (1368 mtrs / Aug '07). Read more here. Tarija. A few kms north of the city, at a YPF petrol station. Quiet place, toilet and cold shower (1948 mtrs, Aug '07). Read more here. Tarija. Spent the night at the lovely, friendly, clean Hotel El Torre (price around 70 bolivianos for double room). The first time we were in Tupiza, we parked in the same street and slept in the car. It was a quiet night and without any problems (2971 mtrs, Aug '07). Read more here. Mina Candelaria. About 70 kms northwest of Tupiza (towards Uyuni). Quiet place, friendly custodian of the mine who let us camp here (3968 mtrs, Aug '07). Read more here. Sud Lipez, Laguna Honda. Another awesome rough camp, between the flamingos (4150 mtrs, Nov '08). Read more here. 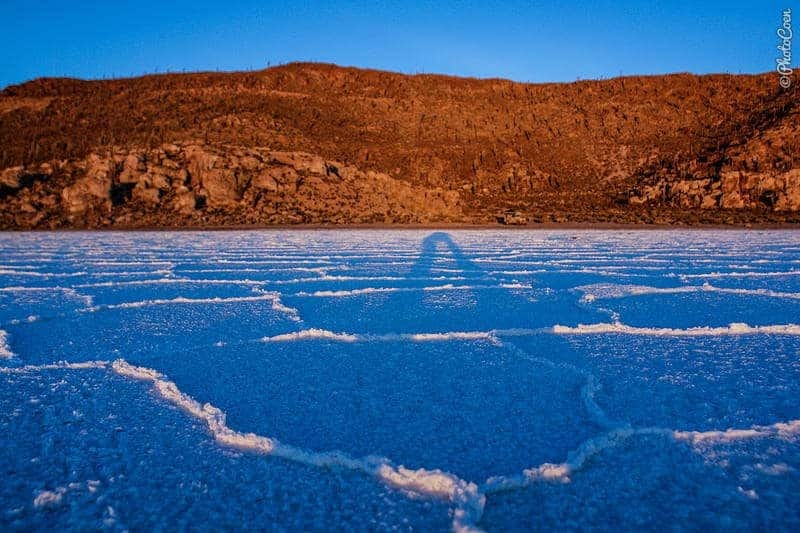 Salar de Uyuni, Ihla Pescado. 20 kms northwest of Ihla Inca Huasi. Fantastic spot for rough camping. During the day maybe 2 or 3 tour-cars stop by but during the evening we had the place to ourselves (3669 mtrs, Aug '07). Read more here. Salar de Uyuni, Volcano Tunupa. Village Colquesa. Beautiful place to spend the night. Walk up to the volcano or watch flamingos. (3669 mtrs, Aug '07). Read more here. San Juan Located south of the Salar. Spent the night in the parking lot of Alojamiento Sicancahur, shower for 5 bolivianos. Friendly owner (3669 mtrs, Nov '10). Near Potosí. 20 kms on the road to Oruro lies Tarapaya. Pass the village on your right side, take the narrow bridge on the left side that crosses a stream and follow 'laguna'. At the top is a great thermal bath of 35 degrees and is a lovely camping spot. Price: 40 bolivianos (2 persons and car, 3427 mtrs, Jan '10). 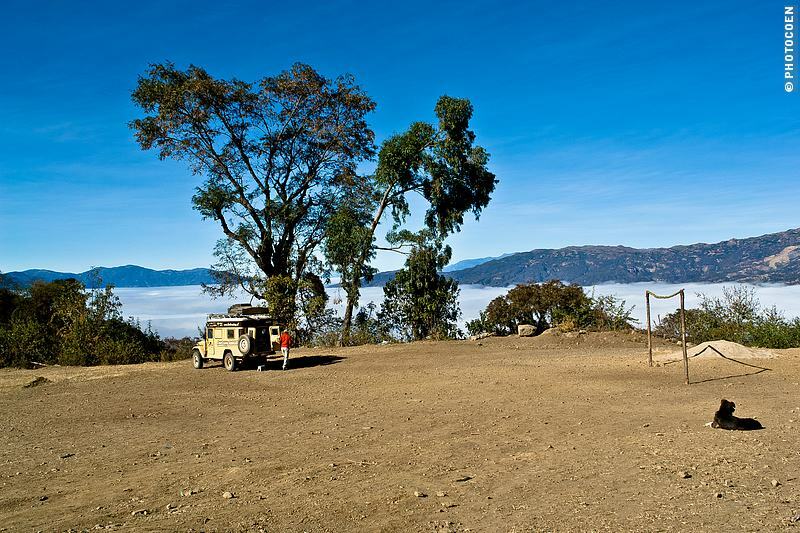 Do you have overland campspots we should add to this page? Please share it with us in the comments below so other travelers may benefit from it. Thanks. 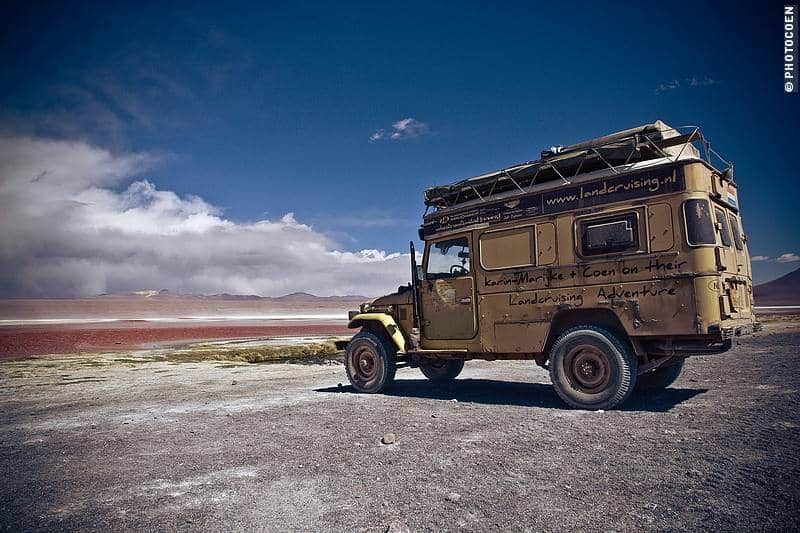 To keep Land Cruiser Adventure going, please join the wonderful crowd that supports us with a Patreon donation. As little as $1 helps. Hi guy’s, great to here from you and your volunteering project. I can’t seem to find out if this place allows for Overlanders to camp there. I mean does is has access for cars and trucks? And adding a gps waypoint for future reference on the site would also be of great value! Keep up the good work. At the moment there is only tent camping space because the site is on the steep edge of a valley.But there will be space for a couple of campervans/cars with tents etc.. shortly…once we get round to levelling a section of the land! We will let you know when that is done!